No, we don't mean military school. 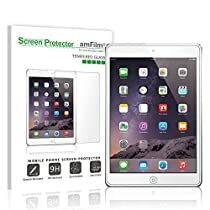 We mean a protective case and screen protector for that new Apple iPad Mini (original or with retina display). 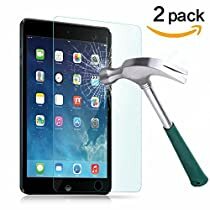 This case is made of treated foam that creates a shock-proof and child-proof shell around your tablet, preventing fall damage and scratches from ruining your investment. 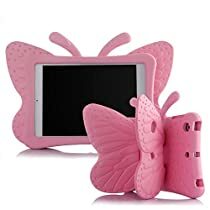 The soft grip handle folds over to turn the case into a stand so your child can prop their tablet on a desk while they watch their favorite episodes of Spongebob Squarepants or Adventure Time. I am actually really surprised how these held up and how well they have protected my kids iPads. I have a 2 and 4 year old and these cases have protected the iPad even from being thrown across the room on many occasions. The perfect case for little hands. It's great for little kids who might have trouble carrying an iPad safely. 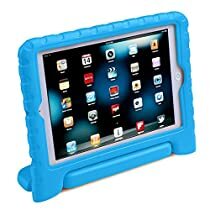 The rubber is thick, tough, and springy and with the 150 iPad minis we have for first graders in the cases, we haven't had any damage. It's even difficult to cut and so far only the charging port cover seems to get some flex wear (which can make it possible to tear the charging cover off). The charging port cover is annoying and doesn't serve much purpose, and it puts a bit of strain on the charging cable when it's in. I've been cutting it off. The quilted back cases don't have the cover, but the product images seem to show all case types not having the cover. The headphone jack can be difficult to reach and with right-angle or wide connectors, may prevent a good connection (or one at all). I've also been cutting the case to have more space in that area. The 'stand' feature doesn't always work as well as advertised. Many of the cases can't fold the handle back far enough to be stable and tip towards the screen. This seems to get better as the cases are used, though. The downsides are relatively minor and I'd still recommend the cases highly.